Watch as the moon glides into Earth's shadow, in what will be the longest lunar eclipse of the century. 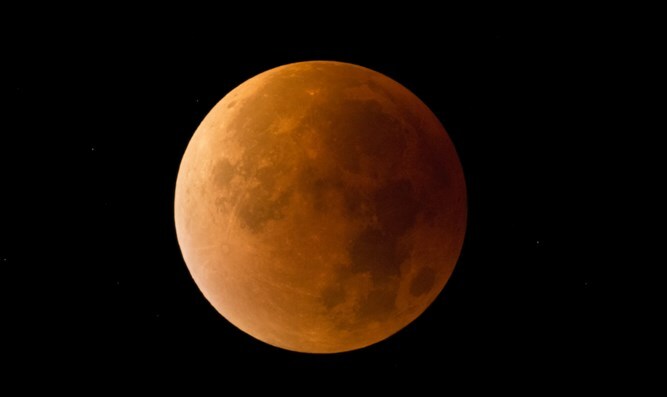 The longest “blood moon” eclipse this century began on Friday. Unlike with a solar eclipse, viewers do not need protective eye gear to observe the rare display. For about half the world, the moon was partly or fully in Earth’s shadow from 1714 to 2328 GMT. The period of complete eclipse — known as “totality,” when the moon appears darkest — lasted from 1930 to 2113 GMT.